As we look forward to a brand new year, there’s no lack of information focusing on what we should do to guarantee success in various areas of our lives. Newspaper articles, TV and social media ads, etc. promise everything from weight loss to financial success, happiness and prosperity if only we purchase their product, follow their advice, etc, etc. etc. 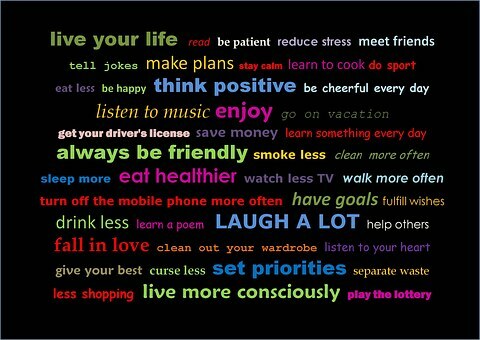 Many people make New Year’s Resolutions, hoping to change their lives for the better in the coming year. However, according to research, while as many as 45 percent of Americans make these resolutions, only 8 percent are successful in achieving their goals. The problem is that success or failure usually rests on self-will and self-discipline which tends not to get us very far.